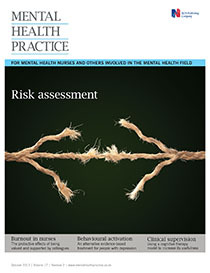 This article suggests that relational approaches and carer-centred practice in mental health and other services might alleviate some of the burden on the health – both physical and mental – experienced by informal carers. Unhelpful staff attitudes and poor communication are barriers to effective engagement between professionals and carers. Carer-centred practice requires professionals to identify and develop relationships with carers, appreciate interdependencies and the complexity of need, and involve family members and friends of the service user as expert partners in care.